WOW! ONLY 6500 Thundercloud edition RX330s were made! This car is ready to go! 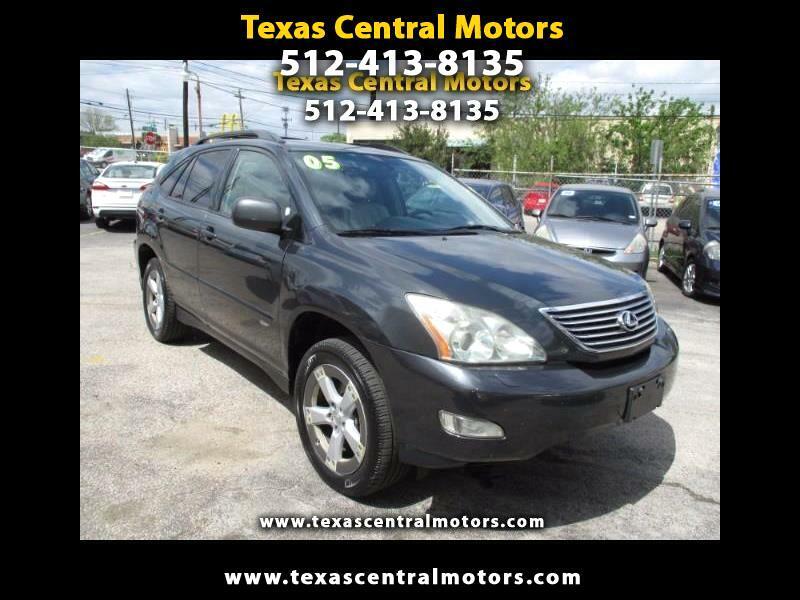 Great 05 Lexus Rx330 in excellent shape. 6 cylinder with plenty of power and pick up! Engine transmission in excellent shape. Body and interior very clean. Complete with alloy wheels, luggage rack, AM/FM stereo, cassette deck, 6 disc CD changer, ice cold A/C, climate control, heated seats, memory seats, power locks, windows, mirrors, sunroof, power tilt wheel steering, alarm, ABS, traction control, dual airbags, cruise control and keyless entry. Please stop by for a test drive whenever possible. We are open Monday-Saturday 10am-630pm. Please call Mike at 512-413-8135 for more info. Visit our website texascentralmotors.com for our entire inventory!